Mr. Fields is a Senior Regulatory Compliance Attorney with broad experience in corporate ethics, sanctions, trade controls and compliance programs. 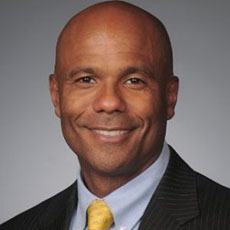 As SVP/Group Head – AML/Trade Sanctions and Export Controls Compliance Counsel at MasterCard, he is responsible for enhancing the Sanctions and Export framework for current and evolving customer base, including risk-ranking, onboarding, diligence, and ongoing comprehensive monitoring of day-to-day operations. In addition to sanctions and export controls, Mr. Field’s subject matter expertise covers internal investigations, money laundering prevention, Foreign Corrupt Practices Act, Aiding and Abetting Liability, and Privacy. He is ACAMS Certified since 2006.